As folk and rock blues music is enjoying a comeback, trendy Americana bands such as Dead Horses are having a moment right now. But it’s worth remembering where much of this style originates, which is where The Long Run comes in. Keeping us in touch with our roots, The Long Run is a great audio portrait of one of the most influential bands of all time. With their incredible vocal harmonies and exceptional precision, The Long Run delivers a performance like no other. It is this painstakingly practiced talent that led them to build a solid reputation as one of the best acts in the country. TV execs took note of their ability to entertain and in 2013, they were asked by Mark Cuban and Ryan Seacrest’s network AXS.TV to perform before a national TV audience. Their 90-minute live concert was recorded for the hit TV show “The World’s Greatest Tribute Bands” and broadcast to millions of homes in over five countries. Their performance was so good that the show received the highest ratings in the history of the series, and the crowd uncharacteristically requested an encore performance. Touring since 2000, The Long Run takes their show around the country every year and has even traveled as far as Mexico, the Philippines, India, Europe, Canada, and Asia to perform for audiences around the world, a success similar to that of the original band. When the original band hit the road back in the ‘60s, they invented a whole new pastime to pass the long periods of time between traveling from gig to gig, which they called “Eagle Poker.” The Long Run, however, are more likely to be found honing their amazingly precise skills as they wait to entertain their dedicated following, which has led them to become one of the best-known bands of their kind. 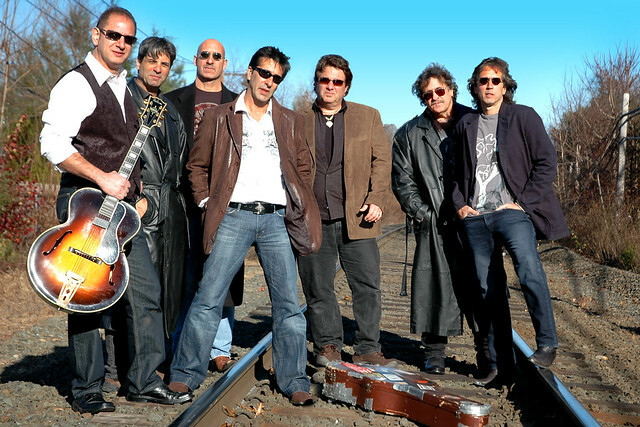 After proving that they could perform all the Eagles material just as well on an acoustic set in 2013, The Long Run solidified their reputation as being the best tribute act around and are now booked up for months in advance. While they have a company of musicians ready to perform at any time, if you’re looking for an authentic Eagles experience, then look no further than the original core lineup. Look-alike and sound-alike Bill Worrell makes for an uncanny Don Felder while Chris Sobkowich, also on guitar and vocals, brings the best of Joe Walsh to the band. Keen fans will have already noted that percussionist Kenny Cetera is the brother of Peter Cetera, formerly of the band Chicago, while Berto Zepeda provides the drums and vocals needed to bring the whole thing together. Gary Grantham, Jim Wooten and Todd Bolinger complete the lineup with guitar, bass and keys, delivering the ultimate Eagles sound. To see The Long Run is an experience by itself, but to catch them at The Event Center at Hollywood Casino is nothing short of awesome! The venue offers 1,200 seats all with outstanding views and is home to some of the best acts and concerts in the country. This is one gig not to be missed. Get your tickets at Hollywood Casino today. The Long Run: Experience the Eagles will be playing at The Event Center at Hollywood Casino on May 27.